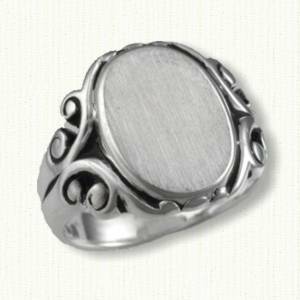 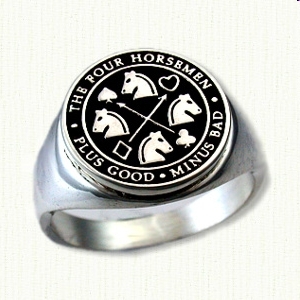 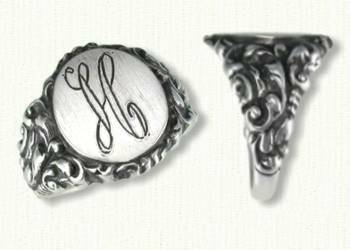 All Our Rings Are Made By Hand And Manufactured In Our Own Shop, Right Here In The USA! This is an assortment of our antique style signet rings and it is only the beginning! 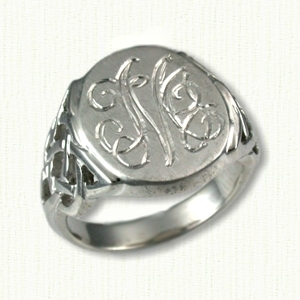 We have many styles with plain shanks and we can always create one - that's our specialty - "One of a Kind deSigns". 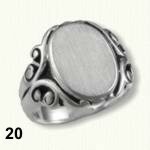 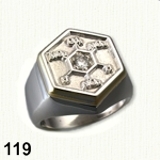 Most styles are available in sterling, 14kt and 18Kt yellow and platinum, all sold by weight. 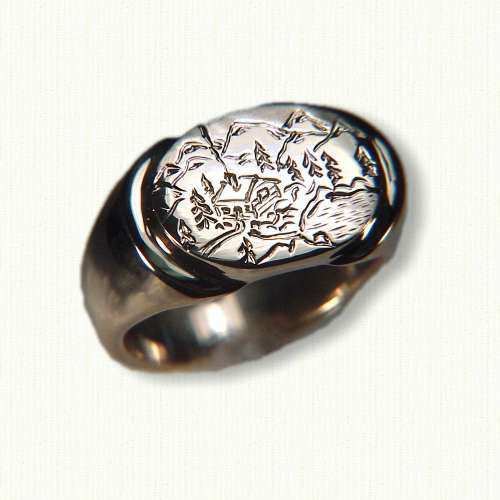 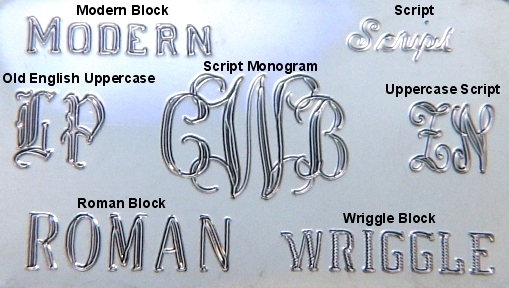 Machine engraving included while hand engraving is available as per quote. 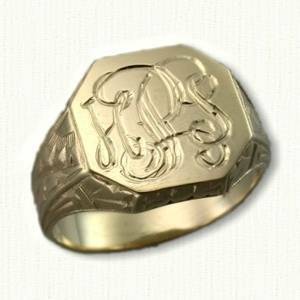 Please call 1-888-727-8266 to discuss your ideas and we will gladly attach a full size scan or sketch of any style with price quote. 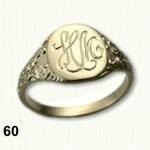 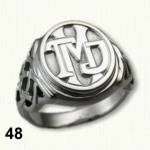 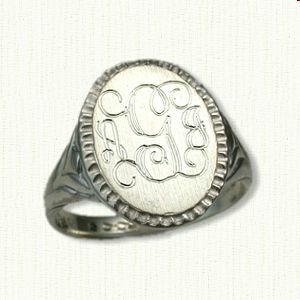 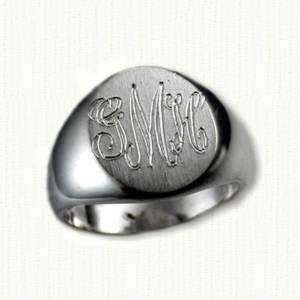 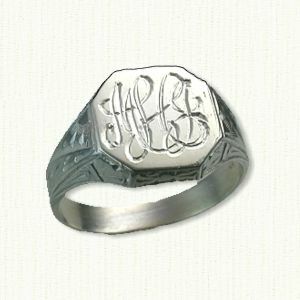 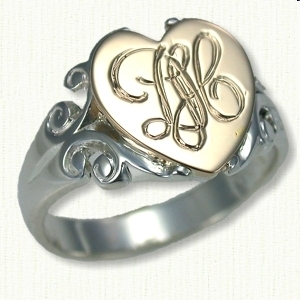 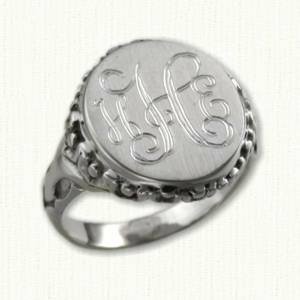 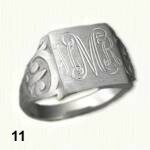 Visit our Custom Monogram Jewelry page for more ideas. 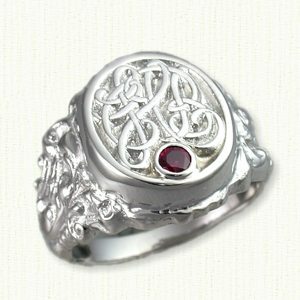 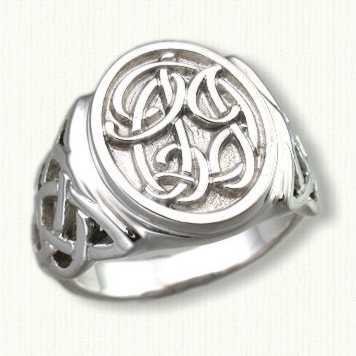 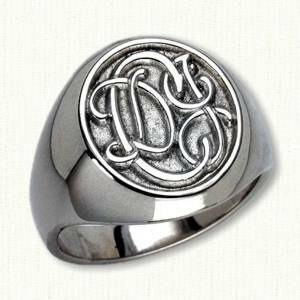 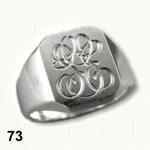 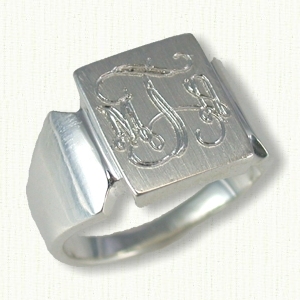 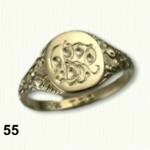 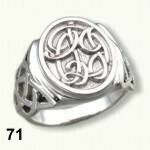 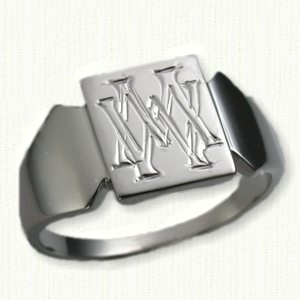 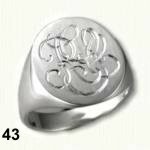 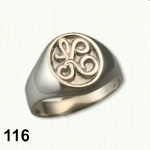 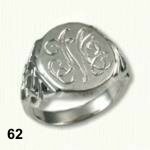 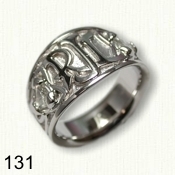 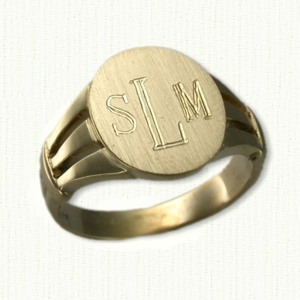 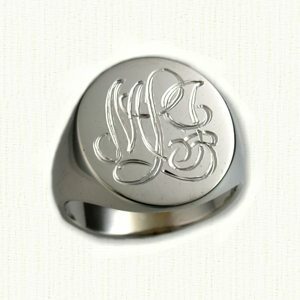 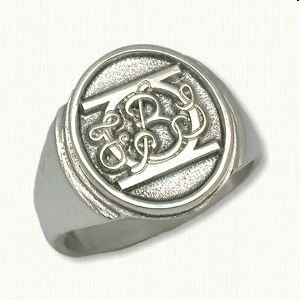 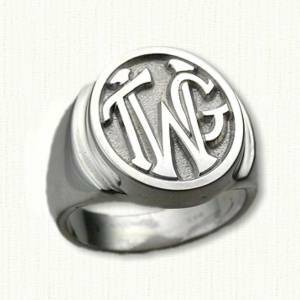 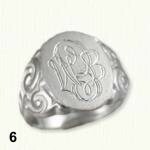 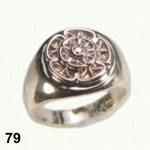 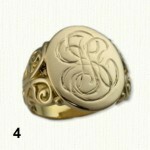 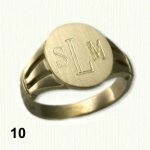 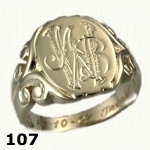 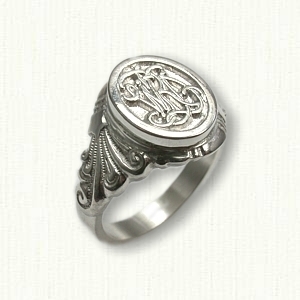 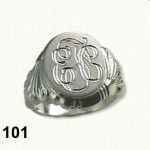 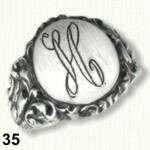 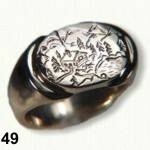 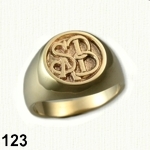 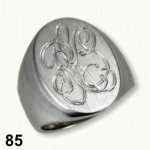 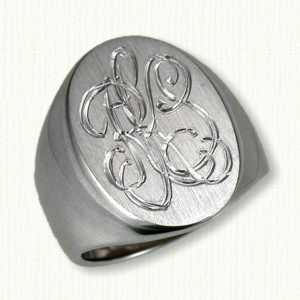 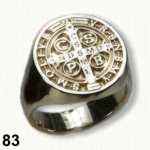 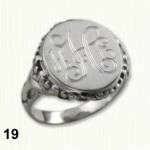 These fonts are available on signet rings, pendants, money clips and bracelets. 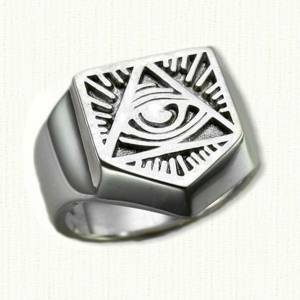 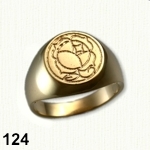 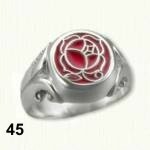 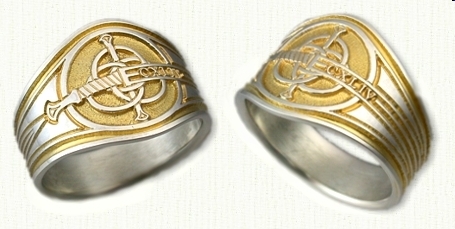 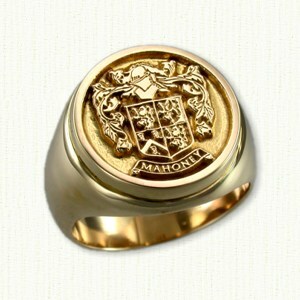 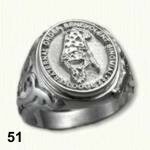 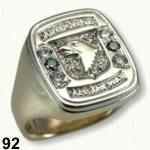 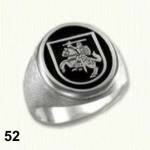 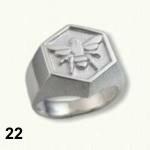 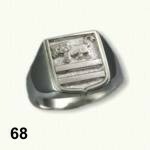 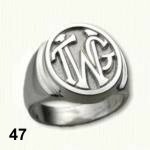 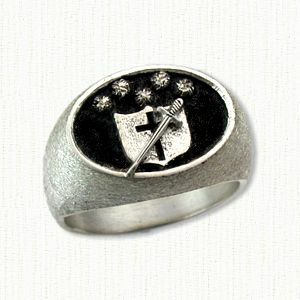 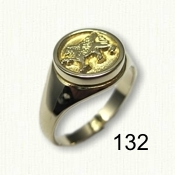 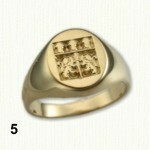 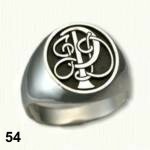 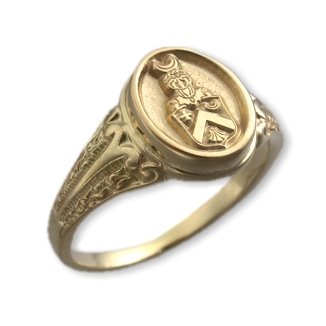 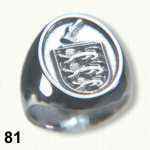 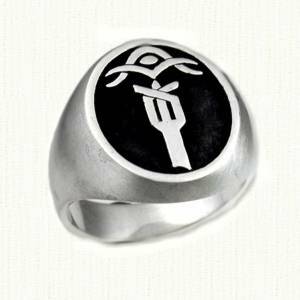 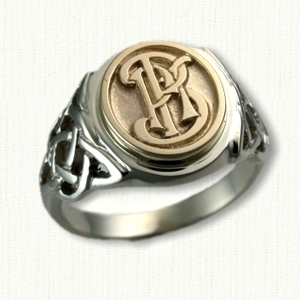 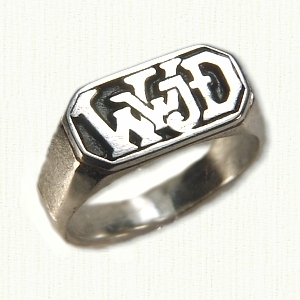 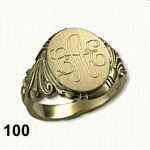 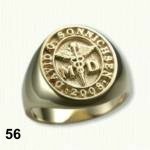 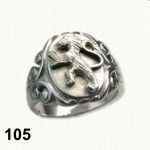 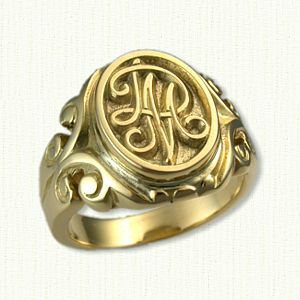 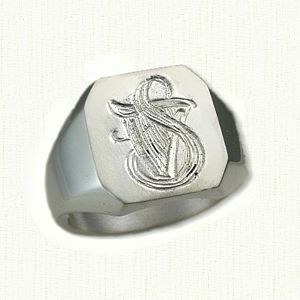 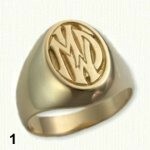 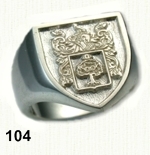 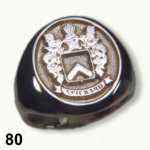 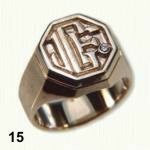 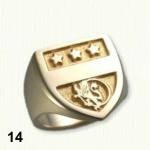 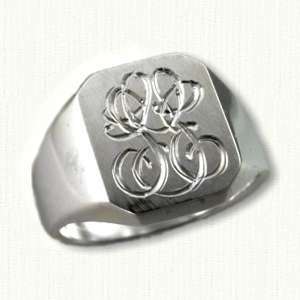 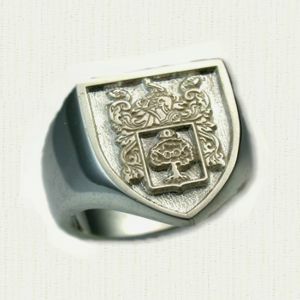 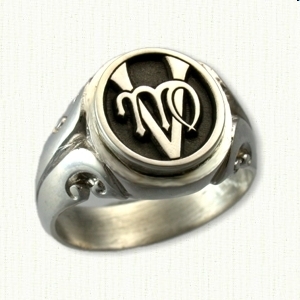 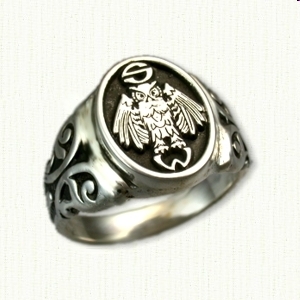 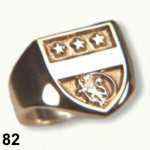 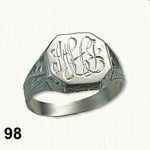 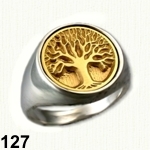 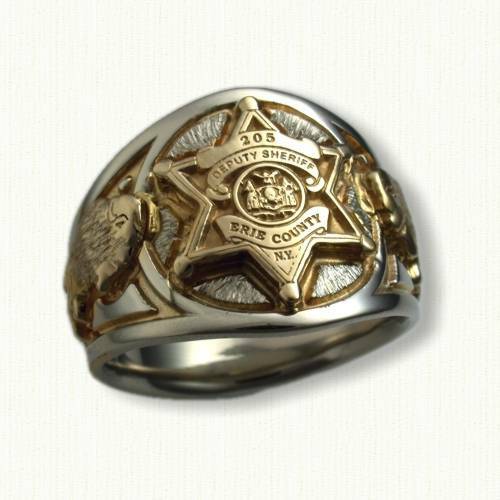 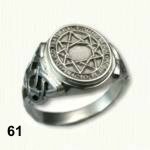 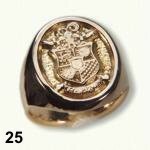 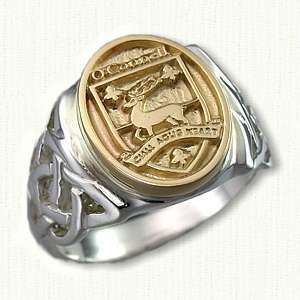 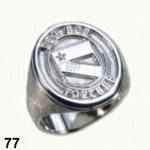 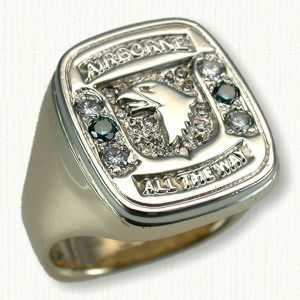 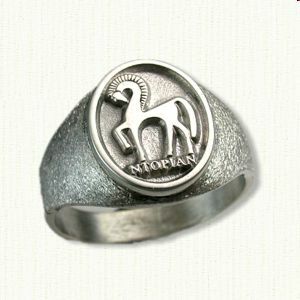 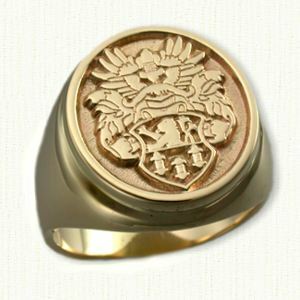 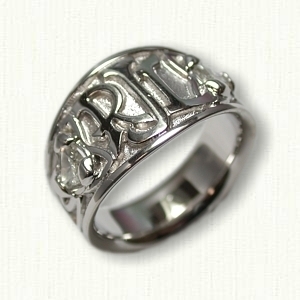 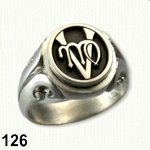 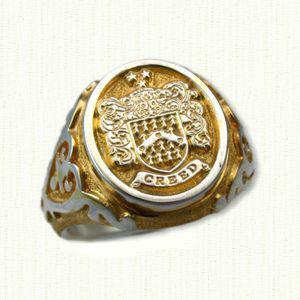 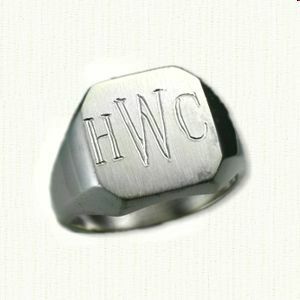 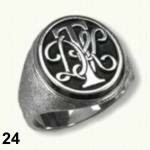 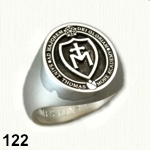 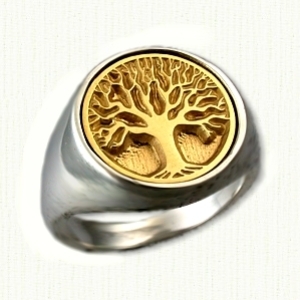 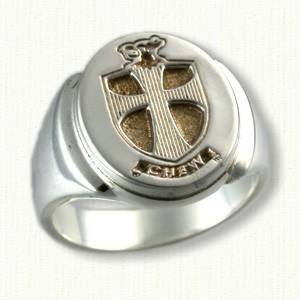 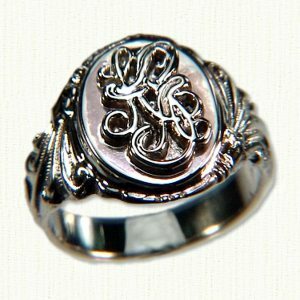 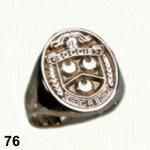 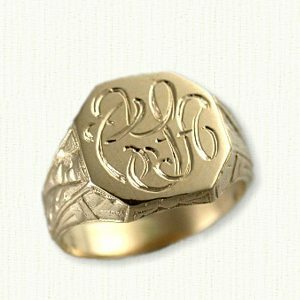 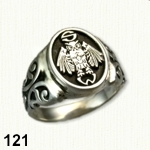 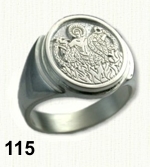 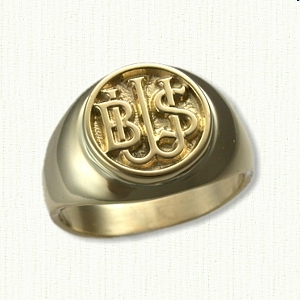 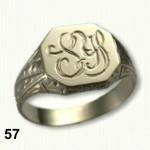 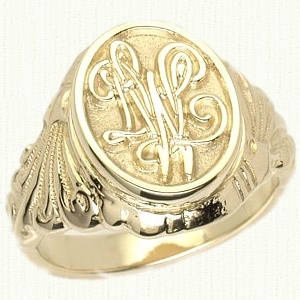 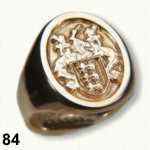 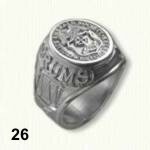 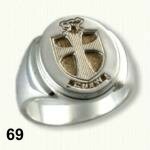 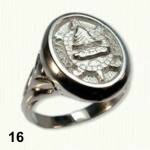 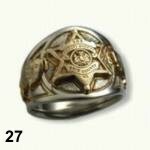 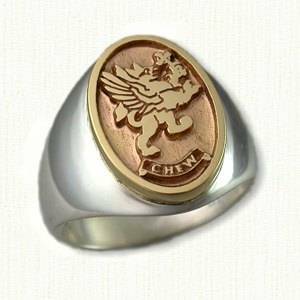 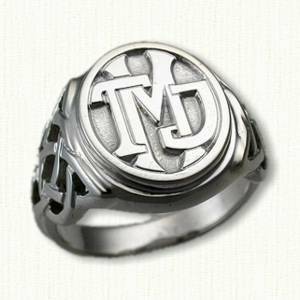 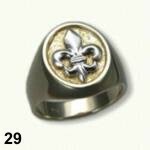 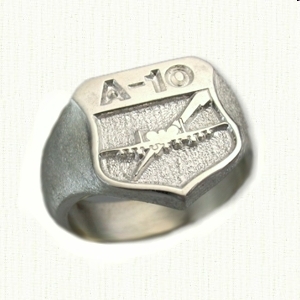 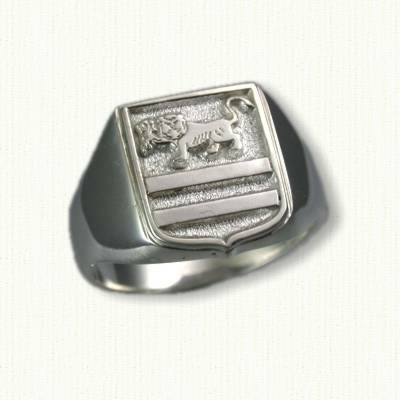 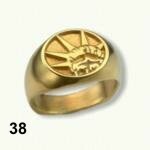 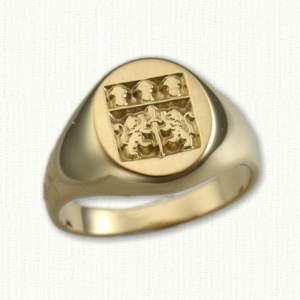 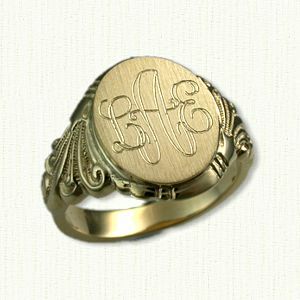 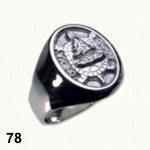 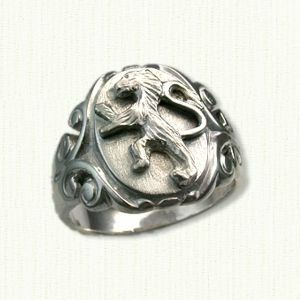 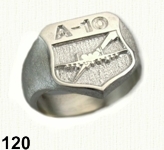 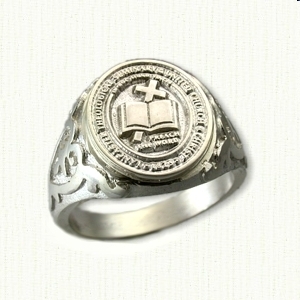 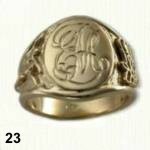 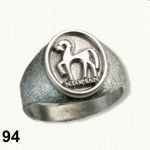 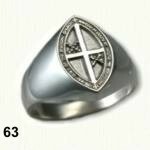 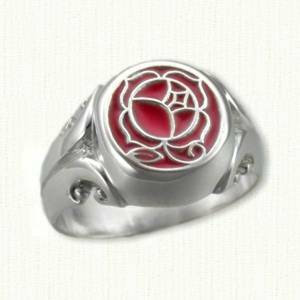 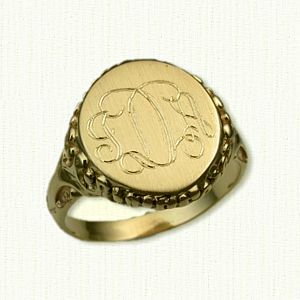 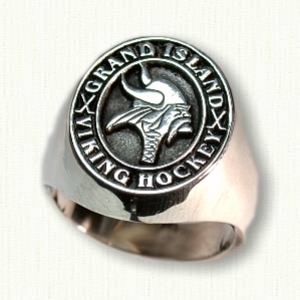 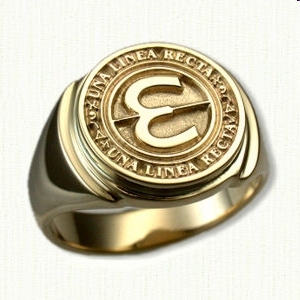 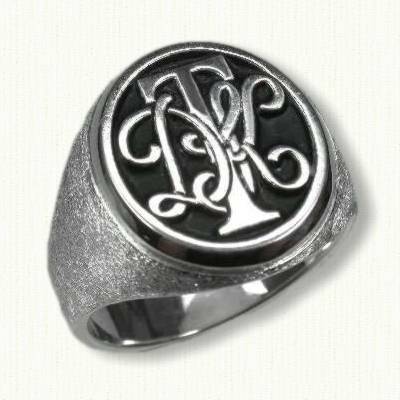 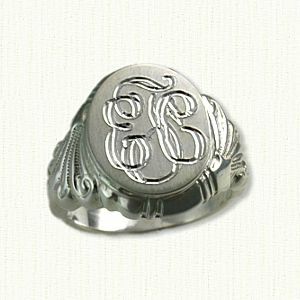 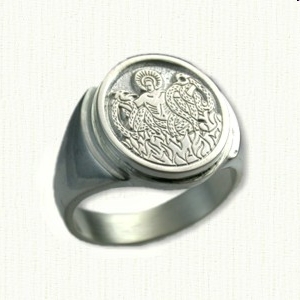 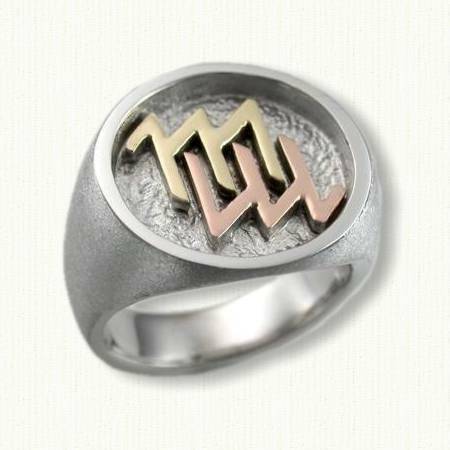 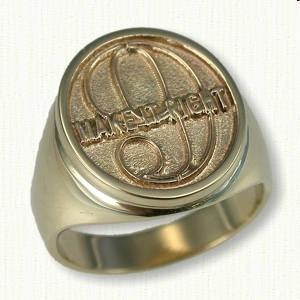 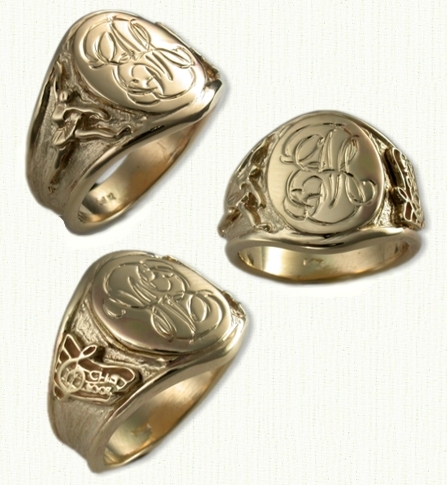 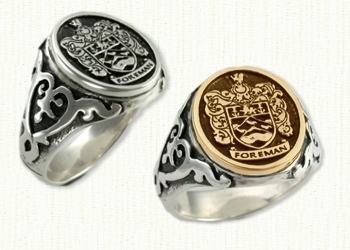 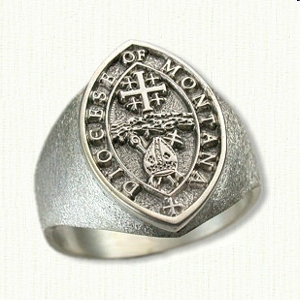 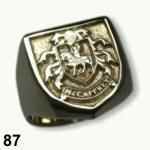 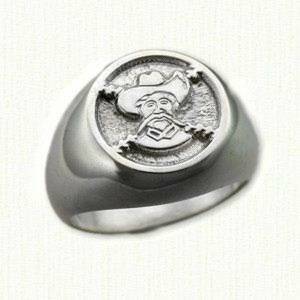 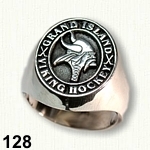 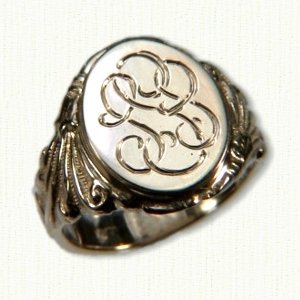 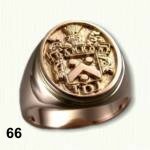 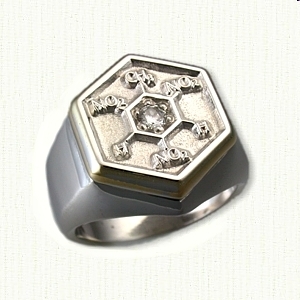 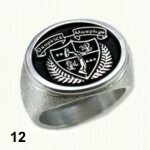 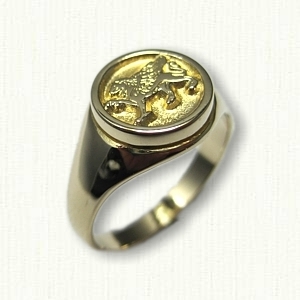 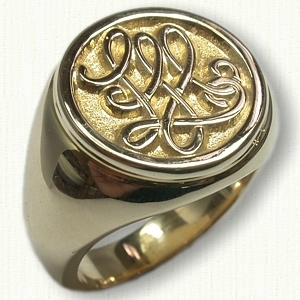 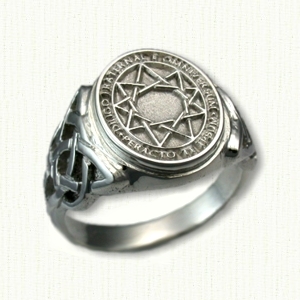 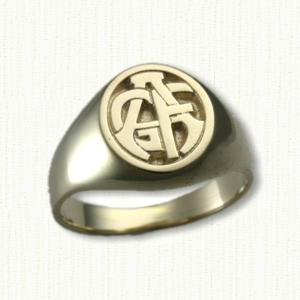 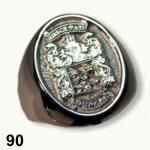 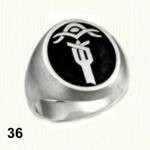 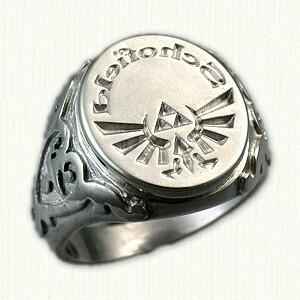 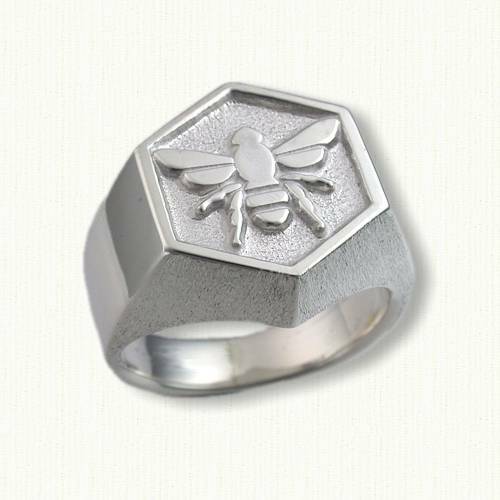 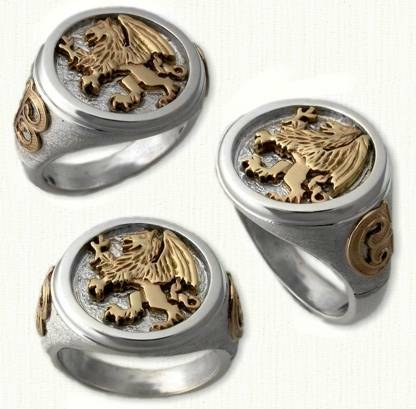 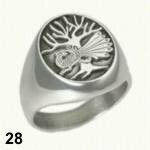 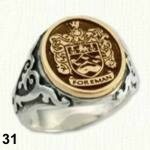 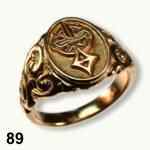 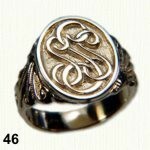 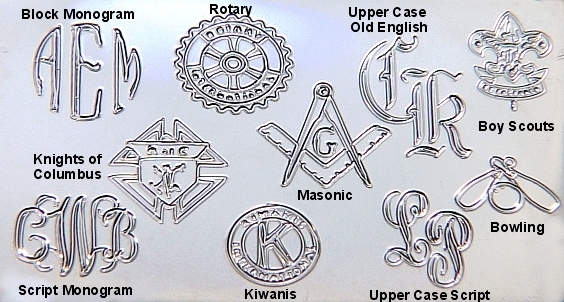 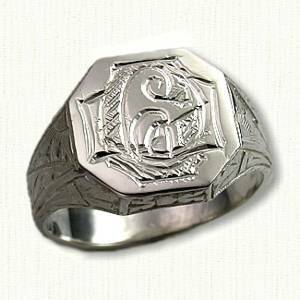 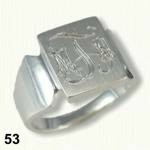 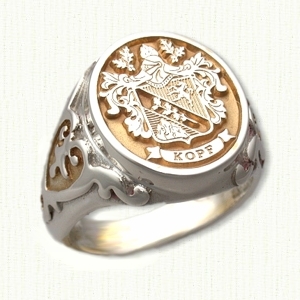 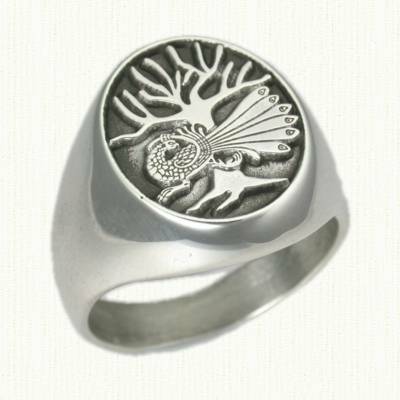 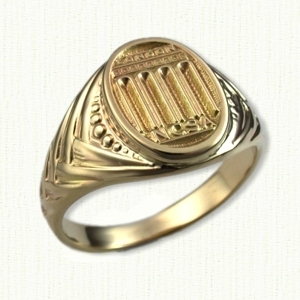 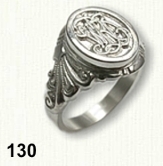 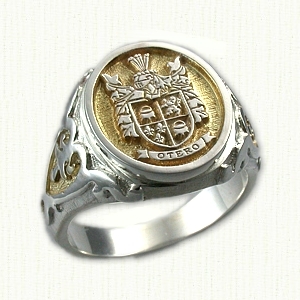 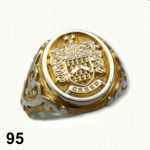 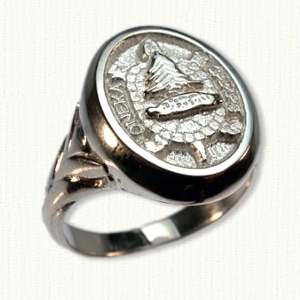 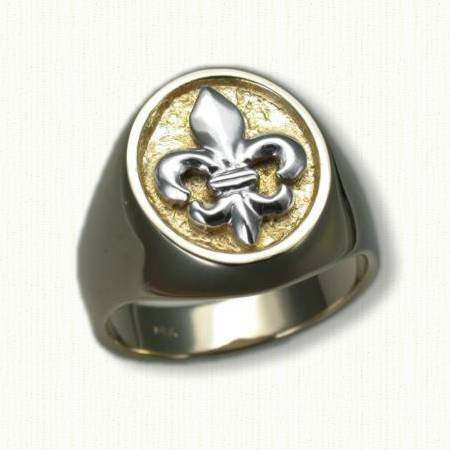 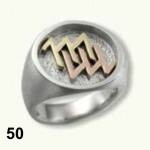 All custom signet/crest rings require a one time, non-refundable custom graphic & mold charge of $100 - $200.00 US. 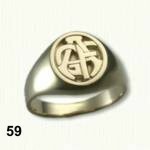 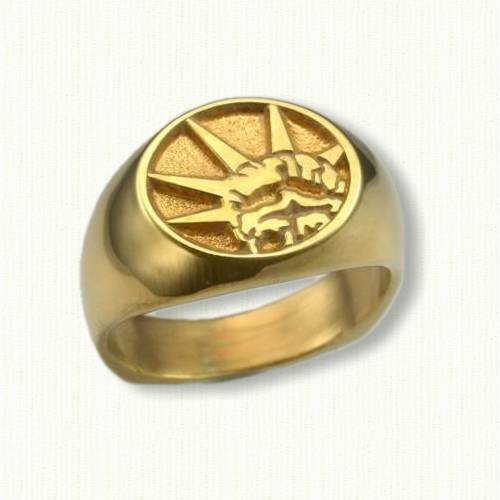 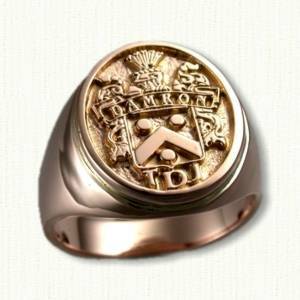 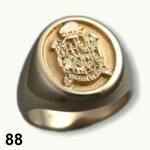 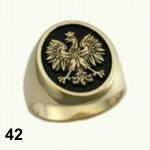 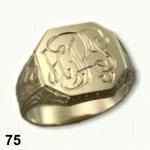 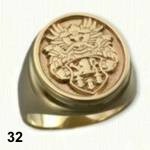 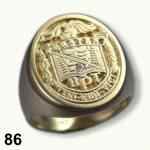 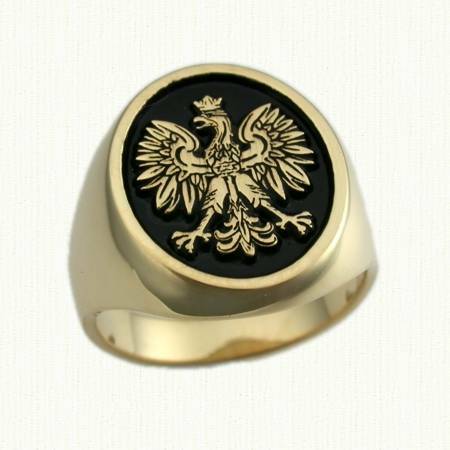 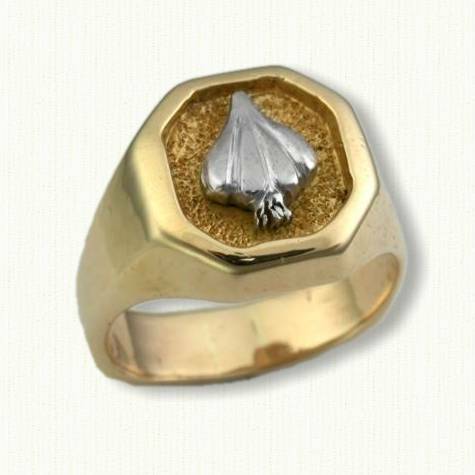 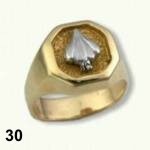 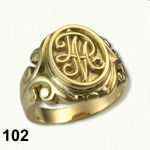 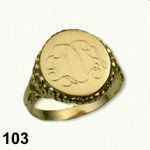 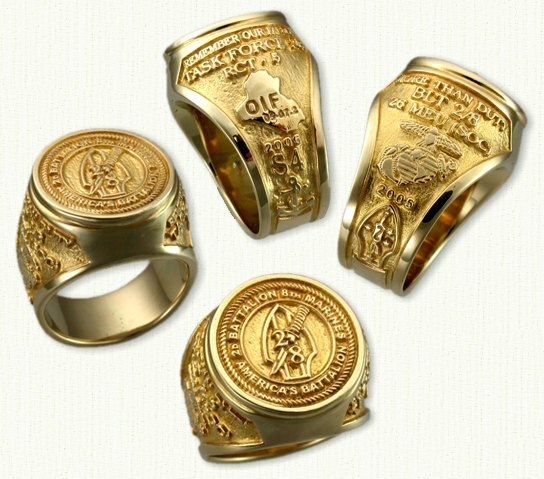 In general our 14kt yellow gold signet and crest rings weigh 12 to 18 dwt each for a cost of $900 - $1350.00 US + the custom graphic & mold fee. 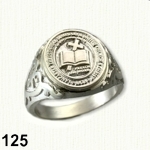 Please call or email for more information.